ver.di stands for good work, fair wages, equal rights and the compatibility of work and family life. A strong organisation of more than 2 million members who have joined together to assert their labour law interests – and with each member, this strength grows. The aim was to create a strong video campaign – which moves, activates and persuades people to become trade union members and work for the statutory minimum wage. Until now, new trade union members have traditionally been recruited via their own website or personal recommendations. Time to break new ground. New paths? Our cue! With the help of strong video content, we have taken up the challenge of generating membership registration online. We chose the introduction of the statutory minimum wage as the campaign theme. We let people have their say. People who are in precarious working conditions: Micha (cook) earns only 6,63€/hour. Tanja receives only 6,50€/hour as a hairdresser. Or Markus (package driver) with a wage of only 7,00€/hour. Those affected have left their frustration right into the camera, into the faces of the people outside. The captured emotions were strong enough to bring the films online into conversation and mobilize people to stand up for the legal minimum wage. But were they also strong enough to mobilize people to become a member? YES! Personal, economic and social interests make the subject of “minimum wages” a topic for everyone. The challenge for us was to present this complexity in the context of a video campaign, to bring it to life and in the course of it to animate people to make their own contribution. No sooner said than done. 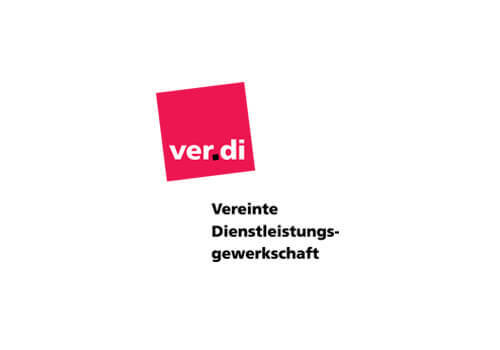 Even the obstacle as a member to pay 1% of the gross wage to ver.di has not discouraged people from applying for membership on our campaign landing page “Mindestlohn jetzt!”. In addition, the online spots were placed on the YouTube channel “Mindestlohn jetzt!” of the same name – technically implemented and supported by our team. The campaign has thus generated several thousand members and has paid for itself many times over. The campaign focused on a technically sophisticated campaign landing page. We developed an interface to the trade union’s digital membership management system so that registrations can be transferred securely. All those who wanted to support the union in their efforts to promote the minimum wage could donate any amount. The necessary backend was also developed and implemented for this purpose. An integrated cross-platform campaign. Developed from scratch. In addition to strategy consulting, the creative concept of the films and the video production, we have implemented a comprehensive digital campaign, which is characterized in particular by performance and influencer marketing and cross-platform campaigning via Google and social media.